✓MULTIPLE PLAYING OPTIONS – There are varied options for the baby to enjoy the gym. 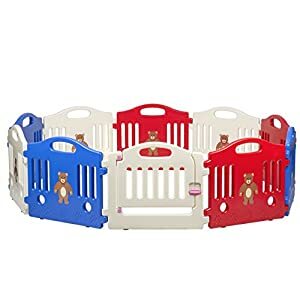 Clip on or attach the toys to the arches’ loop, remove the arches whenever not needed and attach the toys to the mat too. 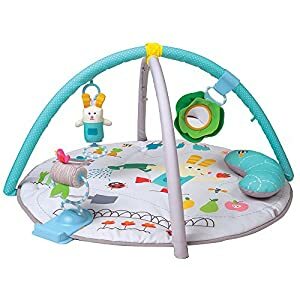 Alter the sequence of toys on the arches or mat so the baby could develop its senses and motor skills in various ways while playing with different kind of activities. Attach toys to mat with clip for steady position, so that baby can play with the toys during tummy time. ✓ GYM WITH EXTRA SOFT FABRIC AND ARCHES – Gym comes with removable arches and a soft mat with colorful garden theme illustrations. 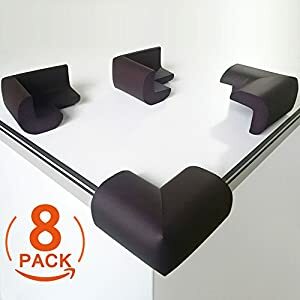 The set of three colorful toys are attachable to the arches as well as to the mat. Newborns can enjoy the hanging toys and 3 months onwards you can encourage the baby to touch the toys attached to the mat. 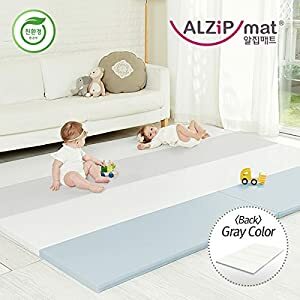 The soft fiber mat comes with 35.4” diameter spacious base so that the baby can move around over the mat easily and comfortably. 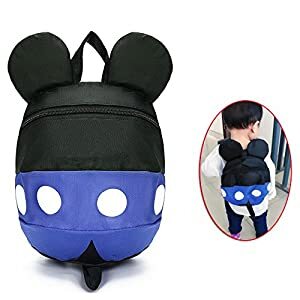 [Easy to use] All you need to do is connect the wristbands to adult’s and kids’ hands respectively. 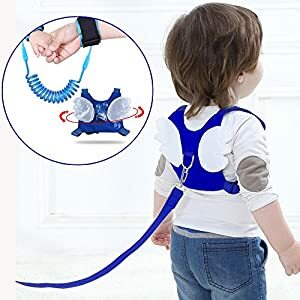 The shrinking chain can extend up to 2 meters and the wrist strap circumference of kids hand side (the smaller side) can be adjusted up to 135mm. 【Durable】: The connecting rope is made of stainless steel and wrapped with plastic, never worry this safety harness will be cut by knife. 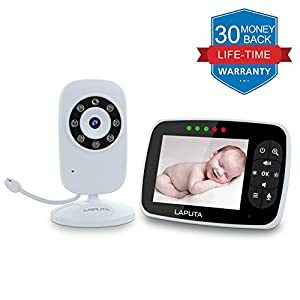 Upgraded LAPUTA baby monitor is the best choice. 3.5 inch LCD screen with 2x magnification display. 2.4GHz FHSS Technology provides clear real-time video and audio of your unattended baby.Support multi camera. Keep eye on your baby every night with night vision camera. Our digital camera helps you get clear black-and-white video of your baby even without light. Built-in lullabies also help baby calm down and fall asleep easily. Eco mode help you know how your baby’s condition at the first time. The screen light turns off in silence and turns on when camera detects andy sound. You can do your housework freely. SGS Certified: Canwn safety corner protector is made of healthy and eco-friendly soft NBR material and 100% non-toxic and no smell which will let your baby and child live healthier and safer. Maximum Protection: Thick and soft foam corner protector provides a maximum protection for your kids. Best product for reducing impact injury. 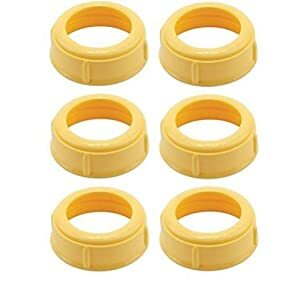 A perfect fit for various desktop, can be used in wood, glass, aluminum alloy, ceramic tile, marble, metal, cement, etc. furniture . Good Toughness: It is included an anti-tear fiber layer although forced to squeeze or pull by your finger, it is also not easy to tear. Excellent in absorbing noise ; free yourself from noise through floors with the patented egg-box structure. Guard Castle ; Classy emotional space that turns your children into the King! 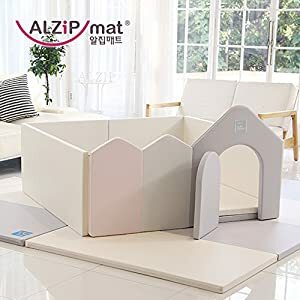 You can use Play Castle as a Bumper bed by installing on a baby mat, Safe Guard, Play room, Ball pit, and more. Play Castle ; Classy emotional space that turns your children into the King! 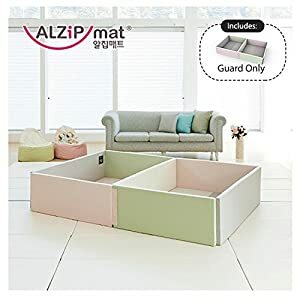 You can use Play Castle as a Bumper bed by installing on a baby mat, Safe Guard, Play room, Ball pit, and more. Playmat NOT included (use with any SG size alzipmat); Comes with removable center divider. THE ONLY CERTIFIED ORGANIC COTTON COVER Organic cotton is pesticide free, pigment free and hypoallergenic. No pesticides or genetically modified organisms are used which means it’s kinder on you and your babies skin. Breathable, machine washable and lightweight which protect your baby from the elements, mosquitos, bugs, germs, bacteria, and even pollen. MULTI-FUNCTIONAL Not limited to just breast-feeding, this versatile cover is perfect for on the go parents that need convenience when feeding and covering their babies outside. 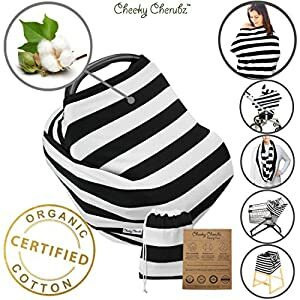 Made from 95% organic cotton and 5% spandex, which means it can also be used as a stroller cover, car seat canopy, infinity scarf, shawl and endless other uses. 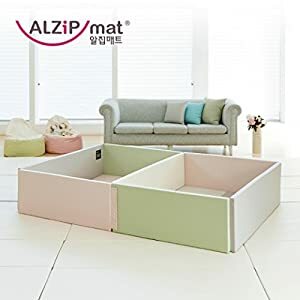 It is a great amount of space for baby to learn walk and even laying with baby in it for play time. 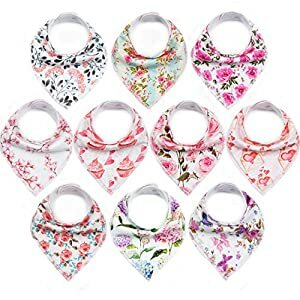 10-Pack Stylish and Practical Bandana Bibs — We designed this bib set with 10 different flora and cute girlish prints to make sure your little princess never runs out of styling options. Get this unique bib set will not only helps to keep your drooling / teething baby dry and neat, but also add more fun to your babies’ daily outfit. Hypoallergenic and Super Soft Absorbent Drool Bibs — To achieve the function of absorbency and soak-free at the same time, we thoughtfully designed our bib with double layer. 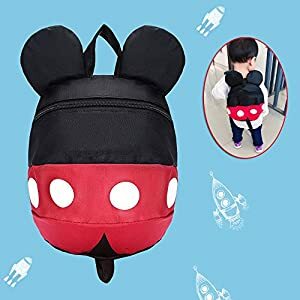 100% Organic Cotton layer (in the front) to absorb baby’s dribbles quickly; and soft Polyester Fleece layer (in the back) to keep the drools from soaking through to baby’s clothing. Thus keep your baby dry all day, and free from cheek, neck and chin rush. 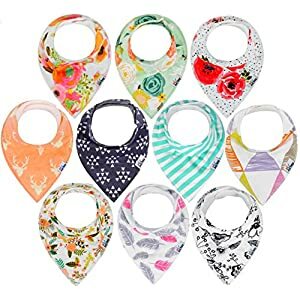 3 Size Adjustable Bandana Bib Fit for 0-36 Month’s Girls — 2 set of nickle-free metal snaps make these baby bibs 3 size adjustable and perfectly fit baby’s neckline as your baby is growing fast. It is designed for your little princess who will keep growing from a 3-month-old infant to a 2-year-old toddler. 100% ORGANIC & HYPOALLERGENIC BIBS- 10 PACK-Never again constantly change your princess’s beautiful outfit soaked up with drool, or cover her trendy dress with a piece of cloth just to protect it from spitups or drool, choose HYPOALLERGENIC Ana baby bandana bibs and feel the difference, it not only protects your baby but also accessorizes them. ABSORPTION AND FUNCTIONALLY EFFECTIVE DESIGN- With the Dual layer function you have to worry no more, We’ve carefully designed these bibs to perform High in absorption with the functionally effective fleece layer barrier at the back which prevents the moisture from reaching the baby while providing the required warmth and coziness to the baby’s delicate skin.